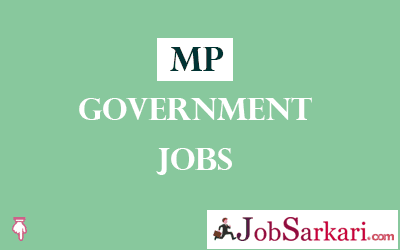 MP Government Jobs page will help you to find government jobs in Madhya Pradesh. Those candidates who want to get the job in Madhya Pradesh or looking for any job opening by Madhya Pradesh government can check the below table and find the required information. We update the MP government jobs page on the regular basis as we get any new information. We have listed the current government job opening by MP Government on this page with post name, vacancy details, last details, and eligibility. If you are interested to get the complete information for any specific job vacancy you must click on the title of the specific job post. There you will get all the detailed information like age limit, important dates, notification attachment, how to apply and other useful informations. If you don’t want to miss any updates for MP Government jobs then you should bookmark this webpage now by pressing CTRL+D or you can keep visiting our website Jobsarkari.com on regular basis. All the information on job vacancy provided on this MP government jobs page will be genuine and latest. We will try to bring all larger to smaller updates for you time to time.